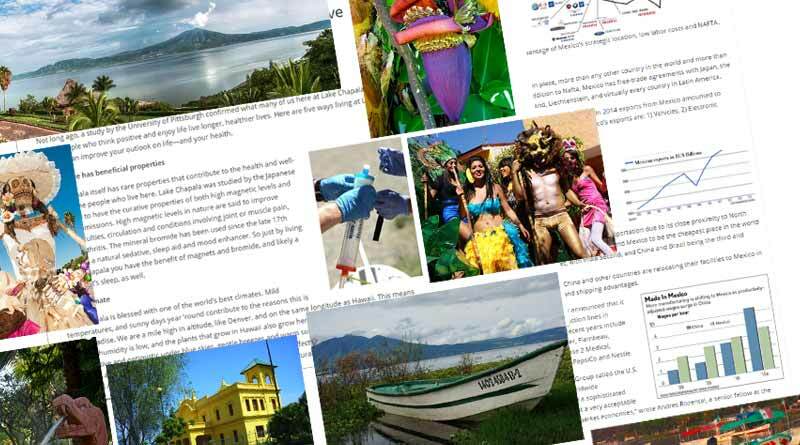 Best of Lake Chapala is proud to offer the work of some very talented writers and photographers. Below (in alphabetical order by last name) is a partial list of our contributors, and we extend our sincere gratitude for their contributions in helping present the endless and fascinating aspects of life in Lake Chapala and Mexico. Watch for more contributors to be added as we continue to compile photos and biographies. Before moving to Mexico about 25 years ago, Adelle Cordero worked in media, PR and communications. She and husband Marcos founded and publish the annual Chapala Directory, now in its 19th year, and the Streetsmart map guide, now in its 5th edition. Adelle is the author or co-author of several historical or non-fiction books and numerous articles. For many years, she was a journalist and daily newspaper editor in Houston, Texas, where she helped establish the well-known newspaper USA Today, with its first full-color edition in the region. Logan Hawkes is an award-winning writer, researcher, publisher, broadcaster and adventurer., and managing editor-partner of Lost Planet Media, an online and print magazine publishing company. He has served as a guest and contributor to the History Channel, hosted the syndicated radio talk show, “Travel Quest”, and is the author of various history-based books, stories and docudramas that provide insight into history’s greatest mysteries. Read more at http://mexicolesstraveled.com/ or http://loganhawkes.com/. Josh (and associate Park Wilson) left the U.S. behind in search of something better, and found it south of the border. They have co-authored the book Top 57 Places to Live and Invest In the Tropics, with over 200 photo-filled pages. Visit their site at http://vivatropical.com/ to download their book (currently free) and read more about investing and living in Latin America. A resident of Lakeside Chapala, Steve and wife Ada love to travel, enjoying life and discovering Mexico and beyond. As a freelance photographer, video producer, and travel writer, Steve captures Mexico at its most picturesque and visually interesting.View more of his work at Facebook’s Steven Miller Photography. Kristina has lived and/or worked in Mexico and the Lake Chapala area for close to 20 years. Three of her four children were born and raised here, and are now north of the border furthering their academic careers. Kristina is an Licensed General Contractor and Real Estate Broker, as well as a business analist and relocation specialist. Although she currently divides her time between Mexico and the U.S., her heart was claimed by Lake Chapala long ago. Daniel’s genuine love of the Chapala area — its traditions, it food, its people, its street scenes, its culture — all shine through in his amazing photos of everyday life here. A great many local residents follow his photographic documentation of the area. To view and enjoy more of his work go to Facebook’s Chapala por Daniel Padilla. Photographer Dave Paez specializes in experimental and innovative photographic techniques and styles. He is well known for his distinctive sports, fashion and architectural photography, having studied under master art photographers such as Juan Manuel Pineda, Juan José Saravia and others. He has also studied Digital Animation Engineering at the Instituto Tecnológico de Chapala, developing unique audio/visual technical and artistic skills. Explorer and adventurer John Pint is a regular columnist for the Guadalajara Reporter and author of several books in both Spanish and English, including “Outdoors in Western Mexico” (co-authored with his wife Susy). The Pints’ website (http://ranchopint.com/) offers many fascinating articles about caves, geology, history, and hidden or little-known natural wonders and mysteries in Mexico. Tarra’s articles are well-known to many Lakesiders. She has lived in Mexico since 1992, spending many years among the indigenous Huichol Indians, learning their culture. Her years here have given her a unique understanding and perspective of our Mexican hosts. 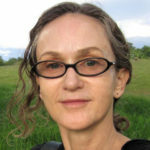 In addition to being a writer, Tarra is a certified naturopath and nutritionist. She can be contacted at nutridoc@ymail.com. Roger lives in Ajijic with his wife Julie and son Aiden. His photos taken around Lake Chapala and throughout Mexico and the U.S. exhibit an uncommon eye for beauty and character. To view more of Roger’s photo gallery, go to http://www.rsimerly.com/. Roger’s galleries are categorized by month, year, and event or locale, which provides a unique seasonal look at our beautiful area. Park (and associate Josh Linnes) left the U.S. behind in search of something better, and found it south of the border. They have co-authored the book Top 57 Places to Live and Invest In the Tropics, with over 200 photo-filled pages. Visit their site at http://vivatropical.com/ to download their book (currently free) and read more about investing and living in Latin America.